Now that you've had the opportunity to try our cinnamon packets, we'd like to give you the chance to win 100 FREE cinnamon packets. Just enter your email address below to be automatically entered into our drawing for 100 cinnamon packets, absolutely free! We'll choose one lucky winner at random on March 15th, 2017. As an added bonus, even if you aren't chosen as the lucky winner, we'll send you a $1.00 OFF coupon code that you can use for our 100-packet cases right here at our online store! PS. You're one of the first people in the world to try our amazing new product. If you love our cinnamon packets, please consider spreading the word to your friends and family through Facebook and Twitter below! By subscribing to our monthly e-newsletter, you'll be entered to win 100 FREE cinnamon packets.  Additionally, everyone who enters will be sent a $1.00 OFF coupon code that you can use to purchase your own case of 100 cinnamon packets right here on our website. Let your followers know about our convenient and healthy cinnamon packets. They can even win FREE cinnamon packets of their own! Share our new product with your friends and family!